Sunday 10 September: Hackney Carnival. Feathers, glitz, booming beats and fabulous dance routines from over 800 performers are set to return to the borough’s streets on Sunday 10 September with the return of the Hackney Carnival. 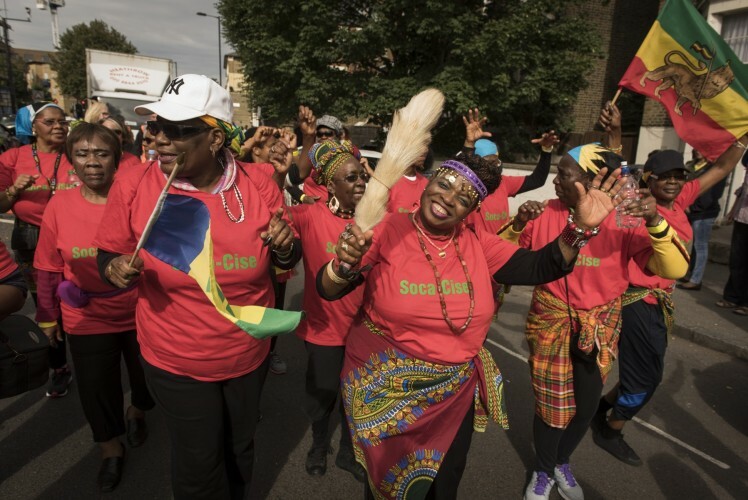 As well as spectacular costumes and energetic dancing at the Council run event, there will be sound systems and live music from around the world as Hackney takes centre stage for an all-day Carnival extravaganza. 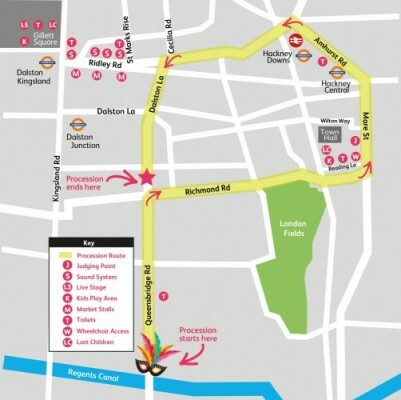 The Carnival procession will start at the Queensbridge Road bridge over the Regents canal at 1.30pm, it will then move its way north where it will turn right onto Richmond Road and along Mare Street towards the Hackney Town Hall before heading up Amhurst Road, past Ridley Road down Dalston Lane and finishing back at the junction between Queensbridge Road and Richmond Road at approximately 5pm. Alongside the Carnival procession, Hackney will be abuzz with a festival atmosphere from 12noon – 8pm that will see a live music stage in Gillett Square and day long celebrations on Ridley Road featuring international food stalls and four sounds systems, including Solution Sounds and NTS Live. Local children and families can also enjoy a free all-day play area in Gillett Square from 12 noon – 6pm, featuring a pop-up playground and hula hooping sessions by Murawa and the Majorettes. In Hackney Town Hall Square the Hackney Playbus will be parked up to entertain crowds as they wait for the procession to arrive. The 2017 Hackney Carnival countdown is on. Hackney’s very own Carnival is a celebration of community. It’s made by our community for our community and for all Londoners who believe we are better and stronger together as one. As part of the countdown to Carnival, throughout the summer there will be Carnival themed workshops for residents. Drop-in Carnival arts workshops for families are taking place in Dalston Square on Saturdays until 5 August. St Joseph’s Hospice have been running workshops for older people and participants have made decorations for an Older People’s carnival bus which will be part of the procession this year. Residents at St Mungos Charity on Mare Street will also be taking part in arts workshops, creating colourful decorations to line the route. Hackney’s Carnival is special because it comes directly from the Hackney community, it has a lovely communal feel, everyone gets involved from young to old. As well as an amazing variety of costumes and music to get everyone dancing, the carnival brings everyone together to celebrate what is great about Hackney and have fun! For further information about carnival and the route please visit: www.hackney.gov.uk/carnival. You can also follow Hackney Carnival on Facebook. Tweet and share your photos on Facebook, Twitter and Instagram using #HackneyCarnival. Hackney Council is working in partnership with Transport for London, Shoreditch Town Hall, Tad restaurant and Global Carnivalz. Images of Hackney Carnival 2016. If you would like more images or for a copy of the route map, please email: tara.hudson@hackney.gov.uk.